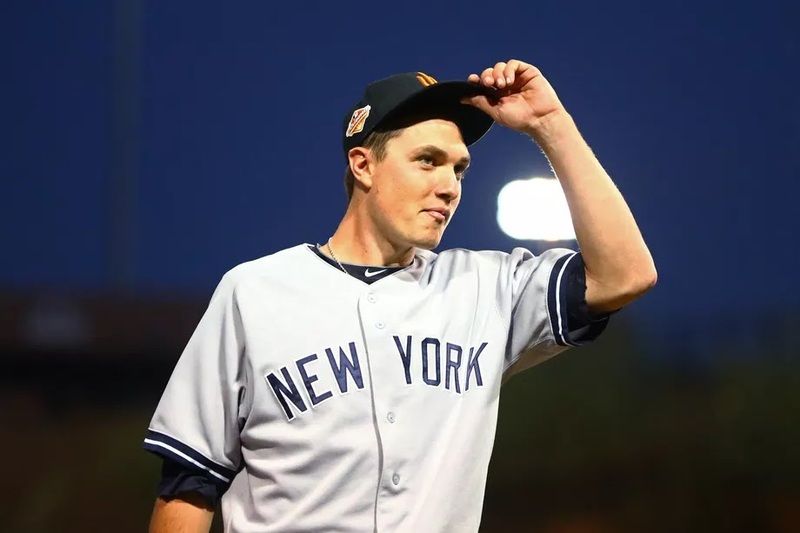 Relatively a forgotten prospect in the minors due to the Yankees’ loaded farm system, Dietrich Enns will look to make the major league roster at some point in the 2017 season. He is one of many talented pitchers that could help the Yankees bullpen and potentially starting rotation as the season goes on. Enns has dominated every level of the minors throughout his career, with a 1.86 ERA. Aside from a setback in 2014 having to receive Tommy John Surgery, Enns has breezed through the minors. The 6’1” lefty spent half of last season in Trenton, the Yankees Double-A affiliate, before being promoted to Triple-A. Despite the raise in the level of competition he faced, Enns got even better after the promotion. He pitched to a 7-2 record at both levels, while his ERA went from 1.93 in Double-A to 1.52 in Triple-A. The sample size was rather equal as well, as he pitched 70 innings in Double-A and 65 in Triple-A. Enns, a 19th round pick in 2012 out of Central Michigan, is not known for his stuff, but has still managed a solid 9.1 strikeouts per nine innings in his minor league career and will look to translate his talent to the MLB in 2017 as he is on the 40-man roster. Enns has to be seen as a potential contributor to this year’s team, as he could be a versatile pitcher in the big leagues. The Yankees have struggled finding successful bullpen arms to supplement Dellin Betances, Aroldis Chapman, and Andrew Miller the past few years, but Enns, along with others like current major leaguer Adam Warren and a plethora of young arms in the minors, should help improve the bullpen. With a dominant trio at the back end of the bullpen once again, the Yankees will need just a few arms to transition this group into one of the best in the league. Look for Enns to be a potential constant out of the bullpen by season’s end and even a possible spot starter.